Toms River Regional Schools staff and administrators led three hands-on workshops at this year's Techspo in January. Story below. Staff from the Toms River Regional School District were invited to present at this year’s Techspo Conference at Harrah’s Resort in Atlantic City, NJ, in January, providing a variety of offerings in three of five time slots over the two-day event. Techspo is the preeminent educational technology conference in the state, drawing thousands of teachers, administrators, technicians, and industry representatives each year. Organized by the New Jersey Association of School Administrators (NJASA), participation continues to grow ten to twenty percent annually. It has evolved from a high tech trade show to a multifaceted conference with sessions on everything from teaching and productivity tools to cybersecurity. Over the past three years, Toms River Regional staff have conducted over a hundred workshops in the region-- and even in other states-- on initiatives inspired by the maker movement and increasing rigor through problem (rather than project) based learning, or PBL. 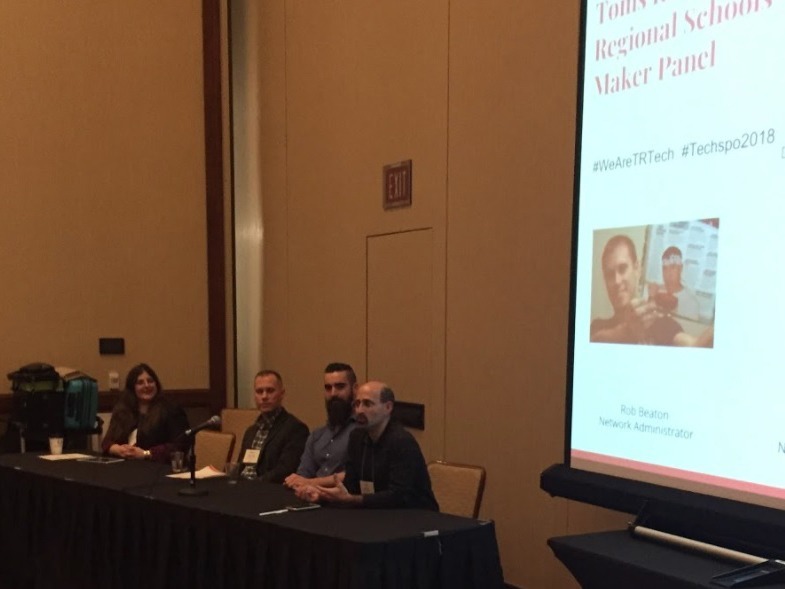 At Techspo, the three workshops this year included a hands-on session using maker techniques, a panel on using technology to improve learning, and a presentation on creating flexible spaces that foster student voice and choice. Led by Assistant Superintendent Dr. Marc Natanagara, a former science teacher and supervisor, these initiatives tie together innovative practices already in use by dedicated teachers and leaders at all nineteen school locations, from pre-school to grade twelve. For the past four months, Natanagara and Supervisor of Educational Technology Tiffany Lucey have run after-school workshops in support of the March 2018 NJ Makers Day. Each has been attended not just by Toms River Regional staff, but educators from other districts and organizations, including town librarians. “The maker mindset is organically cross curricular, so these sessions apply to anyone who works with learners of all ages to engage them in problem solving approaches,” says Lucey. Superintendent Dave Healy, with the Board of Education’s full support, has promoted out-of-the-box thinking and in-house professional learning, in part, to keep the district moving forward at a time when it has had a larger share of financial challenges than most, including a slow recovery from Superstorm Sandy. The programs have included pilots, new partnerships, and grant funded opportunities. District Technology Director Jay Attiya, who presented at Techspo, has helped the district prosper through growing and adapting its technology infrastructure. “The addition of 7,000 ChromeBooks in the past three years, a district-wide expansion to the wireless network, and big increases to our internet bandwidth have led to a transformation in how teachers can teach and how students learn,” says Attiya. Other Techspo presenters from Toms River Regional Schools included Intermediate Math Supervisor Heather Pentifallo; High School English Supervisor Tonya Rivera; and English teacher Amber Hull. Toms River Regional’s training opportunities help the school community get exposed to new ideas from sources outside their campuses. The district runs the Jersey Shore Makerfest each October, the largest free event of its kind in the state, largely to build networks of innovators who all have the same mission: to help the next generation of children become tomorrow’s leaders. 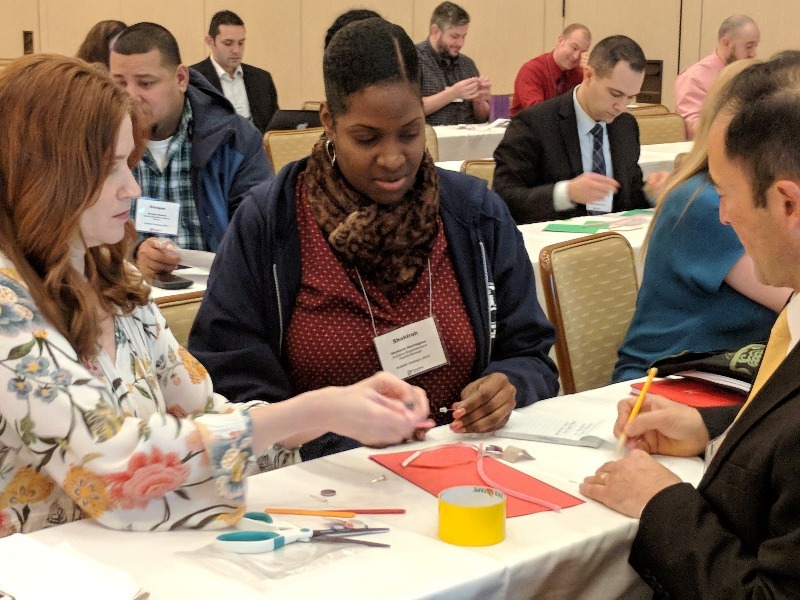 State educators at Techspo take a hands-on approach during TRRS-led STEAM training. Tiffany Lucey, Rob Beaton, Jim Phillips, and Jay Attiya of the Toms River Regional Technology Department participate in a panel at NJASA’s Techspo on January 25, 2018. 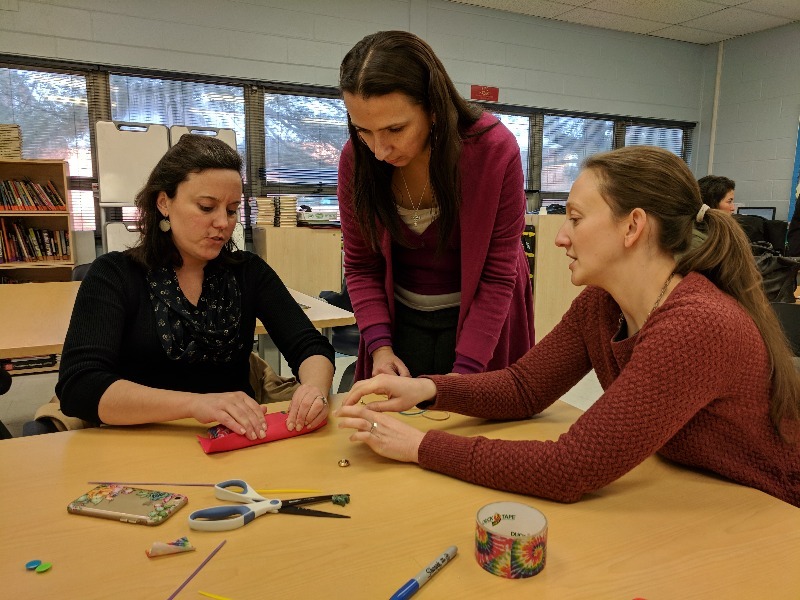 Participants from area school districts experience problem solving using a maker mindset as part of a series of workshops held in Toms River supporting NJ Makers Day, which is March 9, 2018.